One of the great strengths of Amateur Radio is how flexible the hobby is. 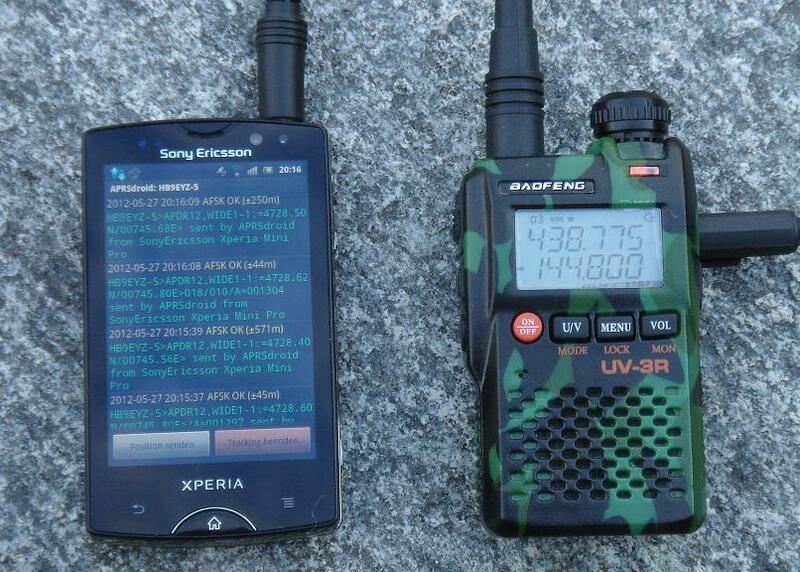 One type of operation that is very interesting for the Overlander is called APRS. (Amateur Position Reporting System) APRS takes raw NEMA2 data from a GPS, encodes it, and transmits it over the amateur bands. A simple APRS Transmitter/Receiver can be built by connecting an inexpensive handheld transceiver (around $35 on Amazon) to an Android Phone or Tablet with a GPS, and then installing a $4.95 piece of software called APRSdroid. This APRS site can then simultaneously transmit your coordinates, as well as display the near real-time locations of every other APRS station within receiving distance. Imagine a caravan of five vehicles, each with an small APRSdroid powered APRS system in their vehicles, with the map display turned on.